I very much enjoy meeting and getting to know clients. During the time I’ve been here, I have grown to absolutely love the cosmetology industry and have decided to do an apprenticeship with Lisa next summer. I cannot wait to further my education, begin my career, and officially become a stylist. Until then, if you’re looking for a great shampoo, I’m the girl for you! ©Copyright L.L. 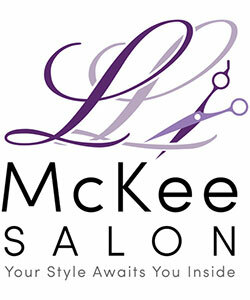 McKee Salon. All Rights Reserved.